Also mentioned are the Lakitu with a camera following Mario around in Super Mario 64, the playable movie of a game in New Donk City in Super Mario Odyssey, and how the Yoshi Theater in Mario & Luigi: Superstar Saga is on pretty much a Mel Brooks level of meta-reference. 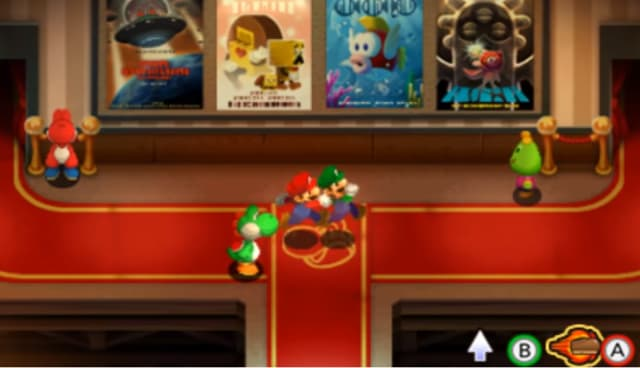 One comment I wanted to make about the movie posters in the remake featuring characters who appeared in games released AFTER Superstar Saga is that they could potentially have been in films before Mario met them. Maybe the Prince Dreambert film is a period piece from before Antasma enchanted him. Much more difficult to explain is the linked story about Mario being an actor from Italy who went to Japan to act in video games. The idea of characters in some non-live-action format, be they cartoons, puppets, or pixelated, actually being actors playing roles is an old one that still shows up frequently. While Popeye did place the characters in many situations with no explanation and sometimes have the characters acknowledge they were in films, I don’t recall them ever really doing the animated actor thing like other famous cartoons did, particularly Looney Tunes. Disney also sometimes portrayed Mickey Mouse and the others as actors living in Hollywood and working for the studio. I wrote before about part of a Mickey comic where he both goes on actual adventures AND works on pictures for Disney, which is kind of confusing. The comic strip, at least at this point, was a serial, so there had to be some transition between different stories. In the shorts, it’s enough for him to just suddenly be a pilot, while the comic format had to include some kind of explanation for how he became one and why he doesn’t do it on a regular basis after that. For the Mario games, it explains why Bowser, who routinely kidnaps the Princess and tries to kill Mario, is still invited to parties and go-kart races. But it also raises a lot of questions on its own. One of the big ones is how much of the characterization can be trusted. Getting back outside the Mushroom Universe, Who Framed Roger Rabbit is a good example here, as Roger acts pretty much exactly the same in real life as in his cartoons, while Baby Herman is totally different. Or look at the Muppets, where their being actors putting on a show is a significant part of the plot of The Muppet Show and its successors, but even in movies where their being a theater troupe is part of the story, they still break the fourth wall. So they’re actors playing actors playing themselves, and in real life those actors are played by puppets performed by humans? The Muppets do play other characters, like Kermit being Bob Cratchit in The Muppet Christmas Carol; but in many stories he’s still Kermit, only in fictional situations. It might be best not to think about it. Wreck-It Ralph does a similar thing with video games, as Ralph is rough around the edges but not really evil; it’s just his job to wreck things during the course of the game. I haven’t seen the sequel yet, so I don’t know whether it gets any more into this. And we know that Mario and Bowser are part of this universe, the latter being part of a support group for villains. The thing is, while it’s a good joke to have behind-the-scenes bits where cartoon characters behave totally differently, it really complicates continuity. As the article mentions, it suggests not just one fictional universe but several: one where the characters exist as actors, and another where they actually do what takes place in the films or games. And if real locations are featured in fiction, are they the same as ours or not? Can Mario play his own games? If so, does he get royalties for them? Is Bowser really not a villain, but just a reptilian actor who gets typecast because of his looks? Is he even really a king? Or does he play himself in reenactments of actual events? Mario continuity is pretty loose anyway, but it seems like it would change a lot if we can’t even trust the characters’ personalities, which are at least somewhat consistent. And I believe Mario & Luigi: Paper Jam indicates that the Paper Mario universe exists within a book. But is it a book based on true events, or fictional ones featuring real individuals? I guess from my perspective, anything official that expands the world should count as canon, regardless of the format in which it’s presented. The first Paper Mario had the first actual map of the Mushroom Kingdom, not something I’d want to disregard even if the whole thing is a storybook in-universe. Incidentally, the original Doki Doki Panic had Subcon exist in a book, but still contained the dream theme. I think it’s more of a stylistic choice than an indication that there are a whole bunch of different Mushroom Worlds of increasing lack of realism. But it’s also that lack of consistency that lets another fan see everything as separate self-contained worlds with some aspects in common. Anyway, Mario might have been an actor at some point; he’s done pretty much every other job. But I still think his adventures are real. 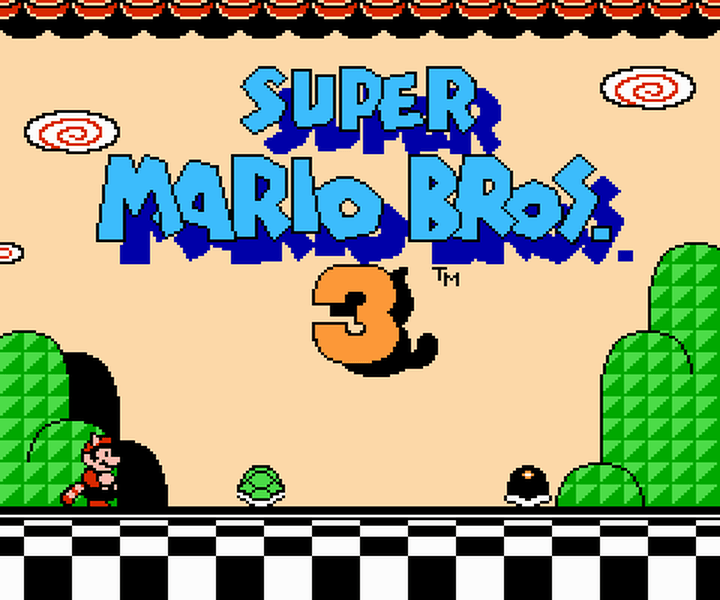 This entry was posted in Cartoons, Comics, Conspiracy Theories, Dreams, Mario, Muppets, Plays, Popeye, Relationships, Video Games and tagged baby herman, doki doki panic, kermit the frog, king bowser koopa, lakitu, looney tunes, mario and luigi paper jam, mario and luigi: superstar saga, mickey mouse, new donk city, paper mario, roger rabbit, shigeru miyamoto, super mario 64, super mario bros. 3, super mario odyssey, who framed roger rabbit, wreck-it ralph. Bookmark the permalink.